Many South African are opting for the security and convenience of a boomed/gated community or a lifestyle estate. Their numbers and popularity are growing exponentially in most areas and they offer many advantages over free standing homes. Security is the main factor driving the demand but there is also a lot less reasonability in terms of outdoor maintenance and garden care. They provide a perfect lock-up and go lifestyle that appeals to many people. Many estates also boast additional attractions such as clubhouses, sports facilities, restaurants, gyms and a range of other conveniences. While this all sounds very attractive, remember that it comes at a price and not just the financial cost. If you have owned a freestanding home you had to comply with municipal regulations but had pretty much complete freedom in the design, structure, maintenance and management of your house and the land. 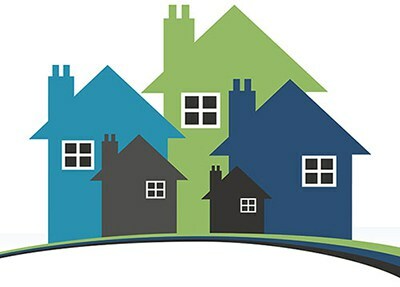 With an estate, you will generally have to comply with the rules and regulations of the Home Owners Association (HOA). Penalties can be imposed on those that do not comply with the rules. Some can be very strict and you might feel like you have been robbed of your freedom. With a sectional title development, the complex is managed by a body corporate. With estates you own the house as well as the land or plot on which it is built. The HOA is in place to ensure the security of the residents as well as the management and maintenance of the infrastructure and common areas. You will normally be compelled to join and pay monthly levies and you agree to comply with their rules. Many people find these regulations to be onerous and restrictive. They often dictate the style of the home, paint colours and finishes, pet regulations, speed limits, staff rules, visitor rules, the list goes on. They can even regulate what type of plants you use in your garden. While rules have to be established for happy, communal living, many people have issues with the lack of freedom. If you are considering a property that falls under a HOA it is critical that you read and understand the rules and restrictions. While there are a great many benefits to this style of living it does not suit everybody. If you know what you are getting into and can live with the rules, you should not have a problem. Do not buy into a property and then try and change or bend the rules as it will just cause you unnecessary complications. Do your homework and understand the monthly fee structure, what it does and does not include and how the money is allocated and managed. Look into the history of the HOA fees to see how well they are managed, how they increase over time and how often special levies or additional fees have been charged and why. You do not want any surprises once you are committed so get a feel for the management style and objectives of the HOA. Ensure you are comfortable with their priorities and the direction the estate is taking. If you are comfortable with the requirements and regulations laid down by the HOA then you will have a happy comfortable stay in the estate. If you find their rules too restrictive, it might be an idea to look at alternative properties.